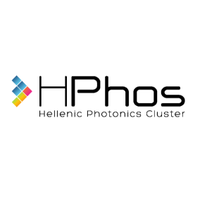 HELLENIC INSTRUMENTS specializes in the design, development and manufacturing of advanced military and industrial electronic systems, providing innovative solutions, and enabling access in emerging technologies to customers around the globe. 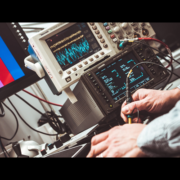 Experienced and qualified engineers emphasize on designing high performing and ergonomically advanced systems that allow straightforward integration on existing multi-purpose architectures. 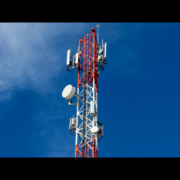 HELLENIC INSTRUMENTS products aid on lowering development and application risks, keeping quality, innovation and adaptability on top priority. 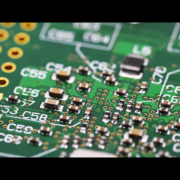 Emphasis is given in designing according to ISO:9001-2015 and MILITARY STANDARDS, ensuring reliable operation in safety and mission critical applications. 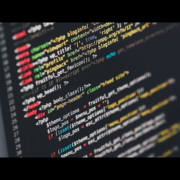 Customization of systems for particular requirements of end users allows for professional and complete aftersales support. 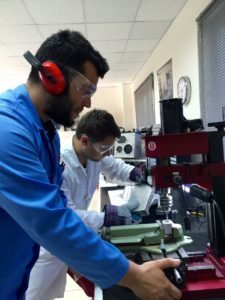 All designed systems undertake rigorous testing prior market release, ensuring the highest quality and compliance to military standards. 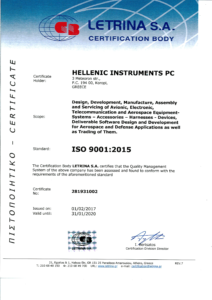 At HELLENIC INSTRUMENTS, our commitment is to deliver products and services that are safe, compliant and of the highest quality, essential for achieving our ambition to be recognized and trusted as a Defense & Aerospace Industry. 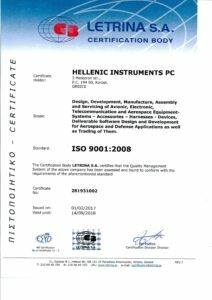 The main principle of HELLENIC INSTRUMENTS is to never compromise on the safety and quality of our products, that are developed and manufactured in accordance to relevant laws and regulatory requirements. 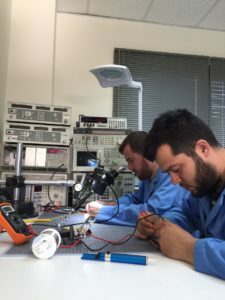 This requires every employee of HELLENIC INSTRUMENTS to be engaged, understand their responsibility in achieving the quality objectives and take action on exceeding the expectations of our customers. 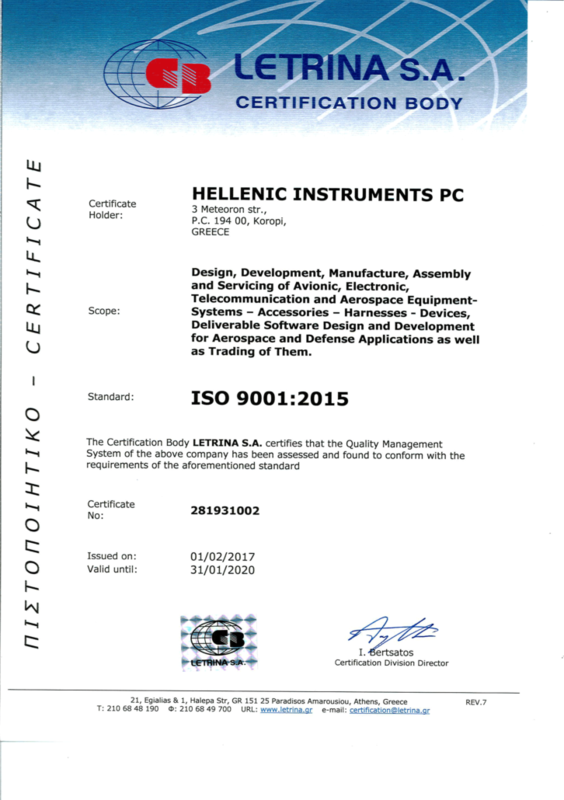 For this matter, HELLENIC INSTRUMENTS has introduced a Quality Management System to achieve the requirements of the INTERNATIONAL STANDARD ISO9001:2015. 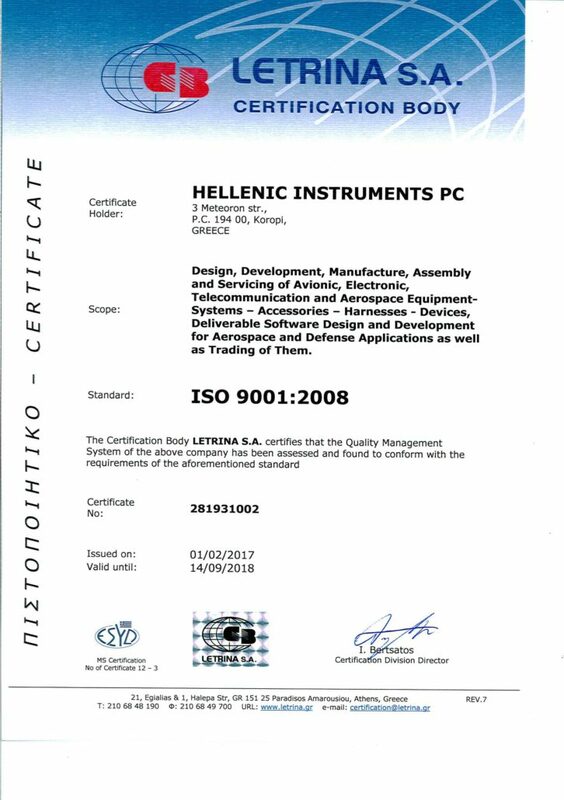 At HELLENIC INSTRUMENTS, the administration is committed to support the Quality Management System to continuously improve its effectiveness. 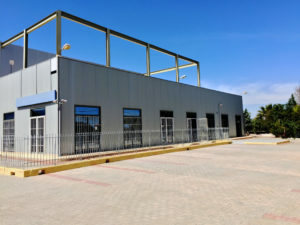 For this purpose, the following areas are constantly monitored: scientific innovations, level of quality standards, human resources level of expertise, compliance to best practices, close collaboration with suppliers, compliance with regulatory requirements, compliance to the internationally accepted research ethics standards. 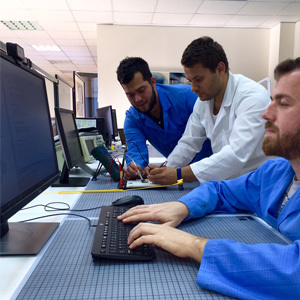 The Quality Manager is responsible for the operation and continuous improvement of the Quality Management System, ensuring its compliance with the Quality Policy of HELLENIC INSTRUMENTS. 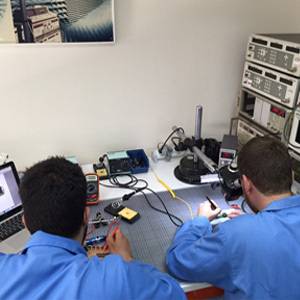 Every employee of HELLENIC INSTRUMENS is required to understand and conform to the “Code of Best Practices” associated with the Quality Management System, constantly engage on self-improvement, satisfy any engaging participants and act according to the “Code of Ethics”, taking into account the scientific expertise, experience and education, as well as the infrastructure that is available.